It’s hard to get too excited about modern politics. With the rise of China and the skulduggery of Russia, preserving democracy has rarely been more important — yet, domestically, few Australians are impressed by the politicians who serve them. The policy arguments tend to be transactional or largely administrative, rather than represent bold philosophical differences. As a nation we seem to have lost the capacity to reform holistically, much less debate ideas without partisan dividing lines forming instantaneously. The personalities who once went into politics have been replaced by careerists who seek to avoid doing anything controversial that may limit their potential. This is a consequence of the professionalisation of major party politics. The era of the mass party driven by large party memberships is over, replaced by professional administrators and parliamentarians whose first goal is winning elections. Ideas, especially those that are right but unpopular, come last. The media, under-resourced as it is in these challenged times, focuses on “gotcha” moments more than weighty ideas in need of investigation. Even when ideas are debated (on the few occasions that happens) those discussions turn into shouting contests between Team Red and Team Blue. The political media is dominated by echo chambers with small but interested viewerships. When the debate does occasionally rise above petty partisan squabbles, or when it catches the eye of journalists who choose to delve into the policy details without a partisan lens, the public mostly isn’t interested. People are too busy watching reality television or using social media to pay attention. The question is, has the quality of political debate worsened in recent years or was it always this bad? The difference perhaps being that 24-hour news coupled with social media’s direct access to the political class simply exposes problems that always existed. We now see the sausages getting made where once such gruesome details were kept out of view. I lean towards the view that the body politic has worsened, courtesy of a narrowing of the gene pool of who goes into politics coupled with a throwaway consumer culture that has made the public and the media less tolerant of political failures. Once, people would get their toaster repaired. These days we throw it out and get a new one. The same consumer attitude is directed at politicians in a way it never used to be — fail and we’ll replace you, rather than give the politician a second chance. This cultural malaise gives us too many narrowcast careerists in major party teams, and the lack of community tolerance for political failure means that ideas aren’t challenged and debated freely lest anyone doing so falls victim to journalistic attack for floating a bad idea. Labor draws most of its MPs and senators from the union movement. Previously, doing so gave the party a broad cross-section of working-class representatives. Trade unions took in a far greater percentage of the population than they do today. Trade union officials used to come off the factory floors and therefore had a much better appreciation of the issues employees faced. Not any more. Such exceptions prove the rule that most Labor MPs today don’t have such working-class roots. These days your average Labor MPs engaged in university politics before a brief foray into union organiser ranks or political staffing, after which they lined up for parliament. What kind of background is that? It’s no better on the Liberal side. Liberals once came from a variety of small and big business backgrounds, as well as some professional ranks. These days the pre-parliamentary backgrounds of most MPs and senators are stuffed full with political staffing experience. Those who did work in professional services — lawyers, accountants and the like — did so only briefly, not long enough to truly understand the issues affecting such businesses and professions. Small-business people are too busy to get involved in politics. The few who do tend to get dragooned into marginal seats where they go out with the electoral tide. That fate awaits several of Malcolm Turnbull’s marginal seat MPs at the next election if the polls don’t improve. In Liberal ranks women often have suffered the same fate. Politicians who are unable to survive through the wilderness years in opposition miss out on important years crafting party policy platforms. But even this task has become more piecemeal in modern politics. The Liberals after the 2007 defeat of the Howard government never went through a proper period of such soul searching. Coming close to winning the 2010 election became a poisoned chalice for the party because discipline rather than ideas dominated the next three years, leaving the newly elected 2013 Coalition government short of policy scripts to enact. Not having taken detailed plans to the election, it was accused of breaking promises when handing down a tough first budget. Labor in opposition has announced a host of fresh ideas, but most of them have involved simply putting up taxes or abolishing deductions. And the party is well on its way to spending the proceeds before we know for certain that its projections are accurate. For all Labor’s ideas in opposition, there is no manifesto. 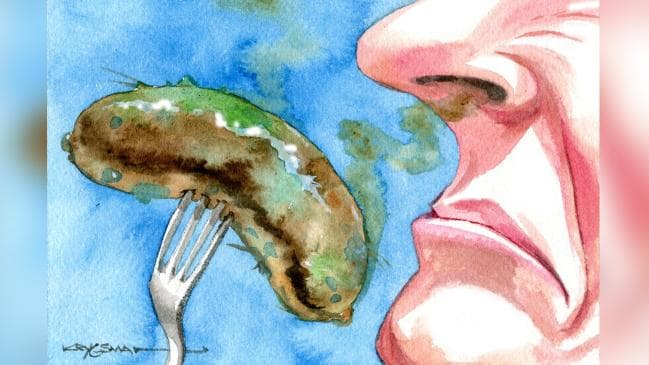 Liberal leader John Hewson’s defeat in 1993 has made most politicians since too shy to outline in such detail what they plan to do in government. The present tax debate is emblematic of the piecemeal nature of modern reform. Both sides won’t commit to a tax white paper process, which can take a holistic look at how best to reform the overcomplicated system. Yet each wants us to endorse its select policy — cuts to company taxes or curbing dividend imputations — without wider tax reform. At the same time, the fringes of the major parties continue to erode the strength of the centre. Tony Abbott’s decision to launch Pauline Hanson’s new book — co-authored yet, ironically, titled In Her Own Words — was a low point of this decade. 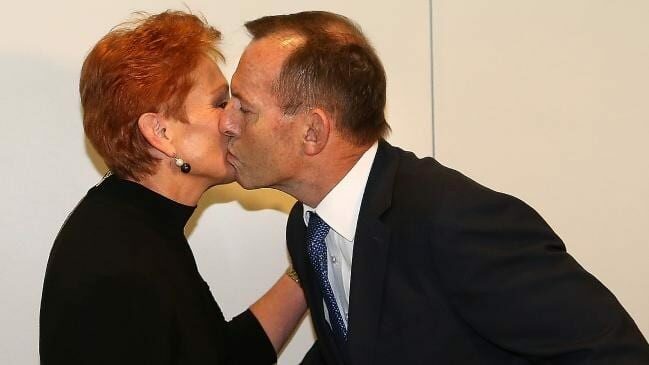 Hanson has never backed down from her offensive rhetoric yet Abbott, who once was at the vanguard of Team Howard taking her on, now laments not having embraced her before. Let’s hope his new-found admiration for a Hansonite agenda doesn’t infect other Liberals. Labor, similarly, is caught between its centre and its left flank, unsure how to manage the Greens. The seriousness of this divide will be exposed only the next time Labor is in office. Our democratic polity appears more fragmented and less able to handle policy challenges than it once did. While we do see more of what has always gone on, it’s also true that what we see is a decline in the political class. 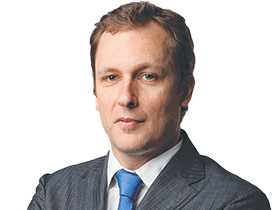 Peter van Onselen is a professor of politics at the University of Western Australia.